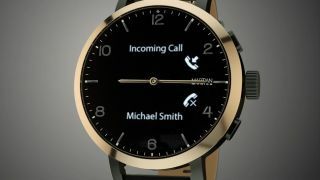 Martian Watches isn’t the biggest name in wearables, but it has been around for a while, launching the likes of the Martian Notifier, Martian G2G and more recently the Martian mVoice. It was set to soon launch the Martian mVoice G2, but that’s now not to be, as the company has shut down. This follows its failure to raise enough funds to complete production of the mVoice G2, and news of the closure was sent to backers of the watch on Kickstarter, and shared with Android Police. The company did at least manage to ship 480 units of the watch to backers in April, but that still leaves some without their watch and the nature of Kickstarter means there’s no guarantee they’ll get the watch or their money back. According to the message shared with backers, Martian plans to update them with its next steps in around 30 days, so keep an eye out for that if you’re out of pocket, but it sounds like the company owes a lot of money to creditors, so we wouldn’t count on seeing anything if you’re a backer. It’s sad news all round, not least for employees of Martian, but perhaps not a huge surprise given that even Pebble couldn’t survive in the smartwatch world. With Samsung rumored to be switching from Tizen to Wear OS for its next smartwatch it increasingly looks like watchOS, Wear OS and perhaps FitbitOS are the only viable platforms.